What greater weekend ritual is there than having yum cha with friends and family? If you haven’t partaken of this delectable asian delight, you have surely been missing out. 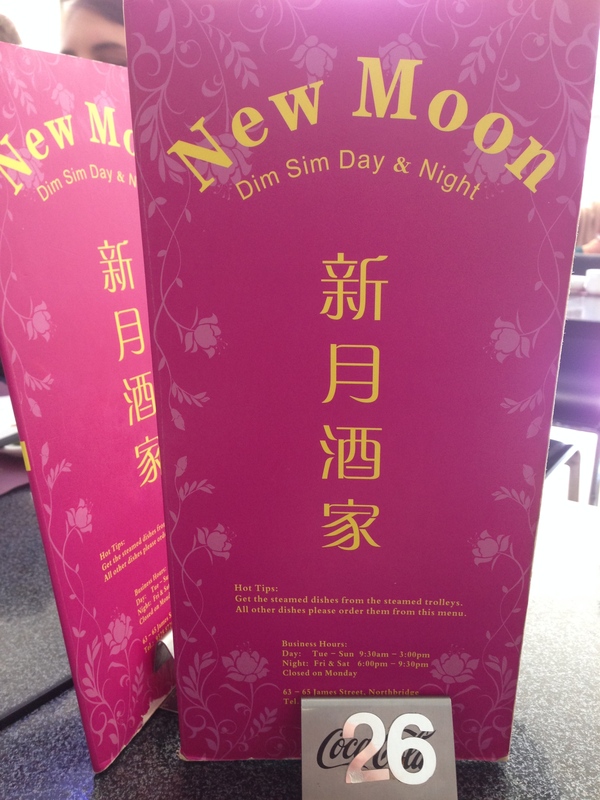 Though we do yum cha fairly regularly I haven’t yet introduced you to our favourite, New Moon in Northbridge. There’s plenty of places to get yum cha in Northbridge but New Moon really stands out. From when they open there are queues of people waiting patiently to get their fix. When you get inside you’ll find the staff to be friendly and efficient, well equipped to deal with the masses of diners but still able to remember you amongst the crowd if you’re a regular. There’s far too much for me to go through everything you can enjoy at New Moon so here’s just an example of some of the things we enjoy. We absolutely adore their prawn dishes, they’re always so fresh and full of flavour. The pork buns too are that mix of sticky sweet, soft bun and steaming filling. 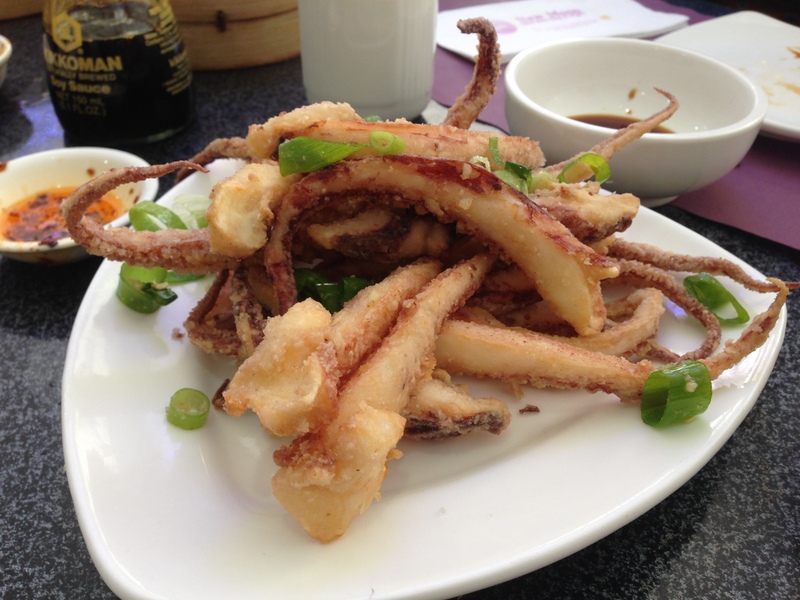 Our all time favourite, squid tentacles with chilli salt never fails to deliver. It’s salty, crispy and delicious and we demolish platefuls every time we visit. 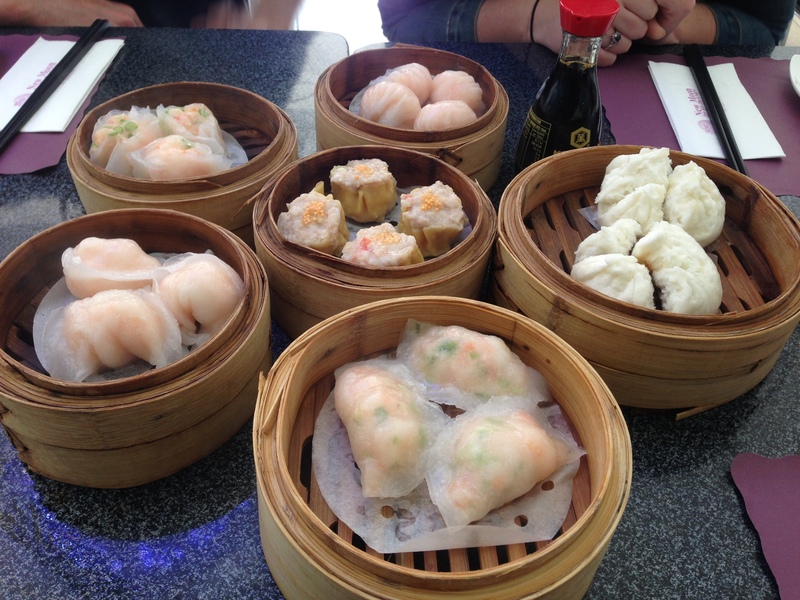 If you’re keen for some delicious yum Cha, you’ll find it at New Moon!